local) in preparing and appraising climate change adaptation (CCA) projects. This experience has revealed a number of capacity gaps in developing viable adaptation projects. In response to these capacity gaps, USAID Adapt Asia-Pacific has developed a range of capacity building tools (see Further Resources) and has implemented project proposal workshops and other mentoring and support activities with partners throughout Asia and the Pacific. This guide* distills lessons learned from these experiences and will help applicants identify and structure the information needed to build an adaptation project proposal. It is designed to help you plot a course to move from idea or concept to bankable project proposal. Different financiers have separate application procedures, and their templates are structured and phrased differently. However, their general information requirements are similar, and so this guide is applicable to all of them. The guide can be used by itself, or as part of a training program or workshop. It is applicable to large proposals prepared for submission to multilateral funds, and also for small grants awarded by national governments and donor organizations. This guide refers to material that is described in the USAID Adapt Asia-Pacific program’s Project Preparation and Finance Course, and is accompanied by an extensive collection of excerpts from approved adaptation projects, including examples from the Green Climate Fund (GCF), the Adaptation Fund (AF), the Asian Development Bank (ADB), the Least Developed Countries Fund (LDCF), the Indonesian Climate Change Trust Fund (ICCTF), and others. *Download the guide from the right-hand column. The contents of the guide and the concluding remarks are provided below. Most importantly, you must demonstrate the centrality of climate change to the problem you are attempting to address. You must also show that your project responds to a clear, urgent need that would not be addressed otherwise. In addition, your project must be aligned with national and subnational development and climate change policy frameworks, as well as the priorities of the financier. Once you have met these conditions, you can then begin the rigorous process of actually designing your project. 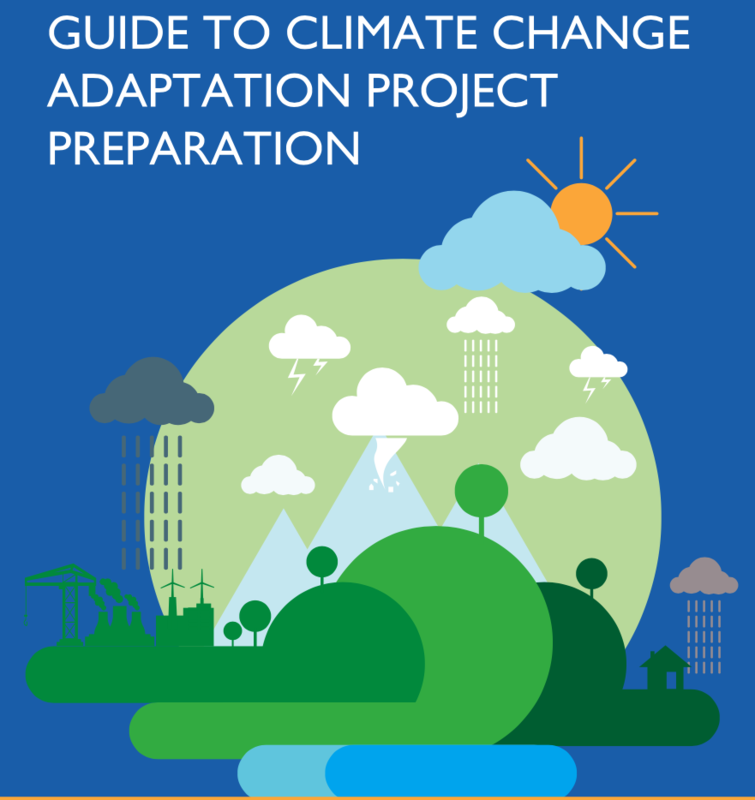 This guide provides a general overview of the information that is used in developing a climate change adaptation project, as well as how to use and structure that information. However, it is important to understand that planning, designing, and obtaining approval for an adaptation project takes time, sometimes as much as 1-2 years. This timeframe can be significantly reduced with some initial investments in developing a good knowledge base as well as the vertical and horizontal sector linkages and coordination with non-government stakeholders that will be required to design an effective project.